Yearwood Dyson* - Lawyers is a firm of barristers and solicitors that was established in the North Surrey/Port Kells area in 1998 by Patrick Yearwood. 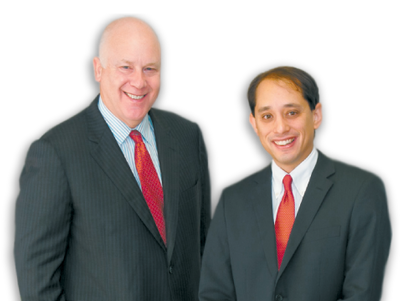 We do primarily courtroom work, with the bulk of our practice in the area of personal injury litigation, acting solely for plaintiffs in personal injury actions. Our experienced trial and appellate counsel regularly appear at all levels of court in British Columbia and Alberta, including the Federal Court of Canada, as well as at many administrative tribunals. Patrick Yearwood has been practicing law for more than 33 years and has extensive trial experience handling all types of disputes and claims. Chris Dyson has been with the firm since 2000 and has a busy personal injury practice. If you want to discuss a legal issue, simply contact us. Suffering from an ICBC personal injury? We offer free 1-hour interviews for personal injury claimants. Simply call now.